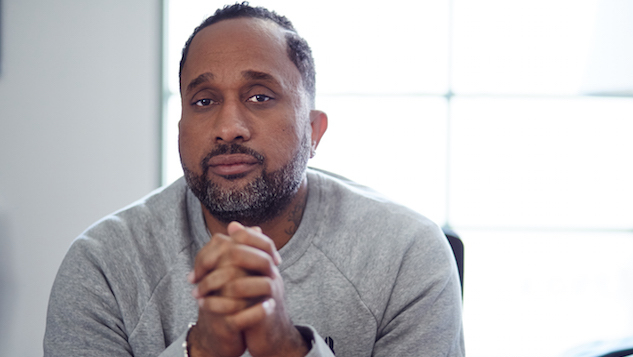 Kenya Barris, the creator of the hit show Black-ish, has signed a big-ticket production deal with Netflix. The $100-million, three-year deal starts Thursday and under it, Barris will write and executive produce all projects through his production company, Khalabo Ink Society. “Kenya Barris is one of our great modern storytellers,” said Cindy Holland, Netflix’s Vice President of Original Content, in a statement. Kenya uses his voice to make audiences more aware of the world around them, while simultaneously making them laugh. His honesty, comedic brilliance and singular point of view, combined with the creative freedom he will enjoy at Netflix, promises to create powerful new stories for all our members around the world. Barris chimed in with his input about the move, saying, “When my agents reached out to me about this little garage start-up called Netflix, I wasn’t sure what to think. But after I talked to Ted and Cindy, I started to believe that maybe this mom-and-pop shop with only 130 million subscribers might just be something … so I decided to take a swing … a leap of faith if you will, and take a chance with the new kids on the block.” Good for Mama and Papa Netflix for snagging this endless talent. The Emmy- and Golden Globe-nominated writer and producer will join the ranks of Shonda Rhimes, Ryan Murphy and many others, leaving his network television home at ABC for the streaming platform. The move comes three weeks after he announced his departure from the network, three weeks earlier than his contract ended. Relations between Barris and ABC worsened after they refused to air an episode of Black-ish that dealt heavily with race relations. There aren’t many more details about the terms of the deal, but we’re excited to see where Barris takes it.